Got this a few days ago from Toro! 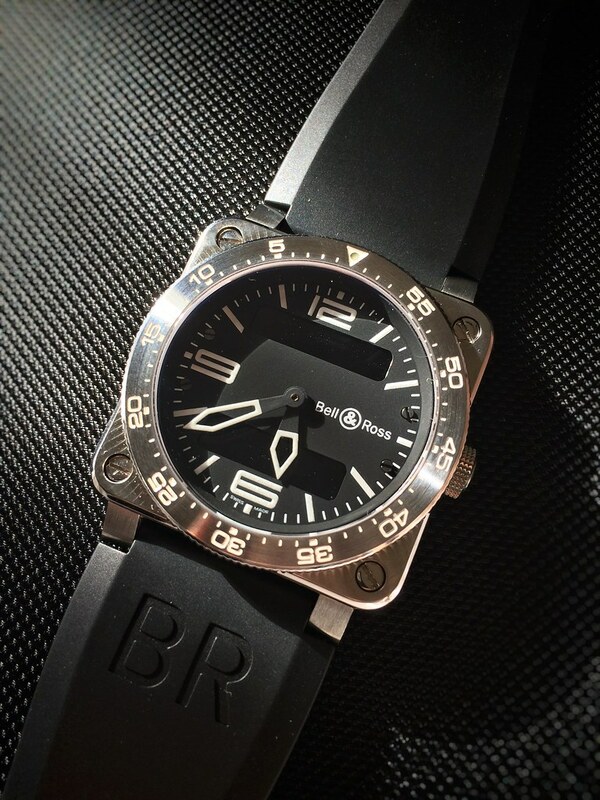 To start, the BR03-88 or Type Aviation is a quartz powered Digi-Analog display watch based of the familiar BR03 shape. 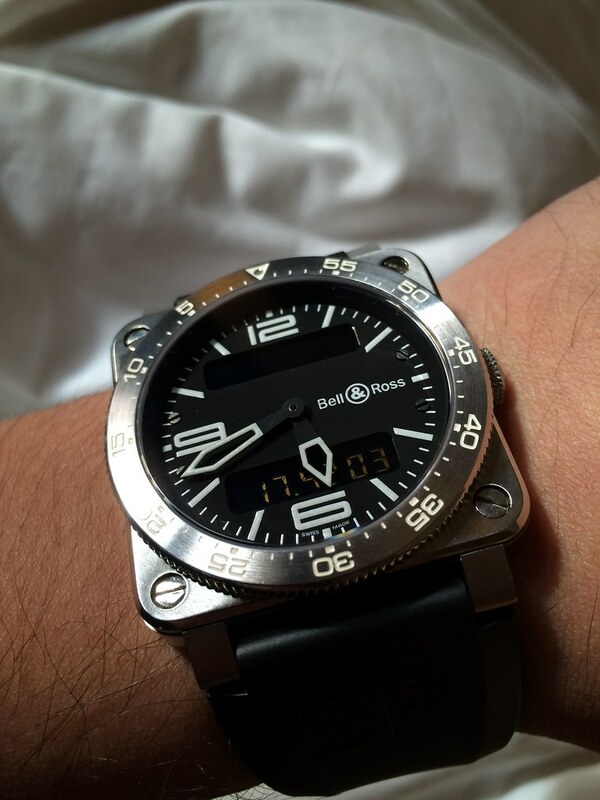 It's 42mm x 42mm, stainless steel with uni-directional bezel. My specific example came on a rubber strap. Size-wise this should suit most wrists, it is the same size as my Speedy pro but wears big due to the shape of the case. The watch is powered by an ETA 988.333 (Same as in the gen). It's a multi-function digi-analog movement, it's digital functions include: Alarm, Chrono (1/100th with ADD & SP), 2nd Timezone, Countdown timer & perpetual calendar. All the functions are operated through the crown, which does take some getting used to. This rep has been available for a few years and was originally supplied with a box, B&R nylon strap, strap tool and instructions. However, I don't believe the watch comes with these extras nowadays. Which without instructions, can make learning the operations of this watch a challenge. Thankfully I found a manual online (albeit in french) which I could refer to. After getting to grips with the operation of the crown, I can say it is fairly easy and logical. To select the different digital functions requires a quick turn of the crown; clockwise to proceed through functions 1 to 7, and counter clockwise to do the reverse. The watch needs to be set up following some fairly specific instructions. Which were fairly self-explanatory. A push of the crown in the Alarm function; will turn the alarm on and off. It isn't the loudest around, but I'd hardly use it anyway as my phone can do a far superior job. Chrono functions again are started and stopped with a push of the crown. 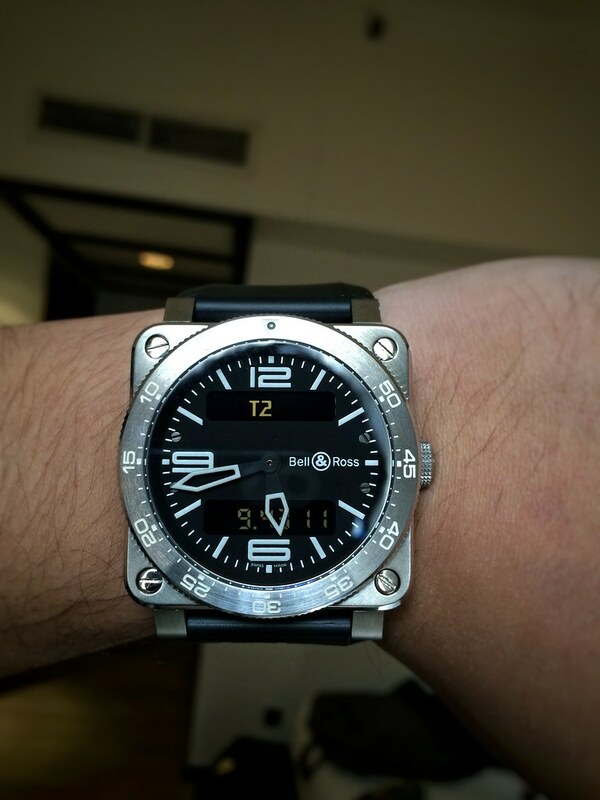 A push and hold of 3 seconds will reset the chronos. The overall build quality on the rep is great. 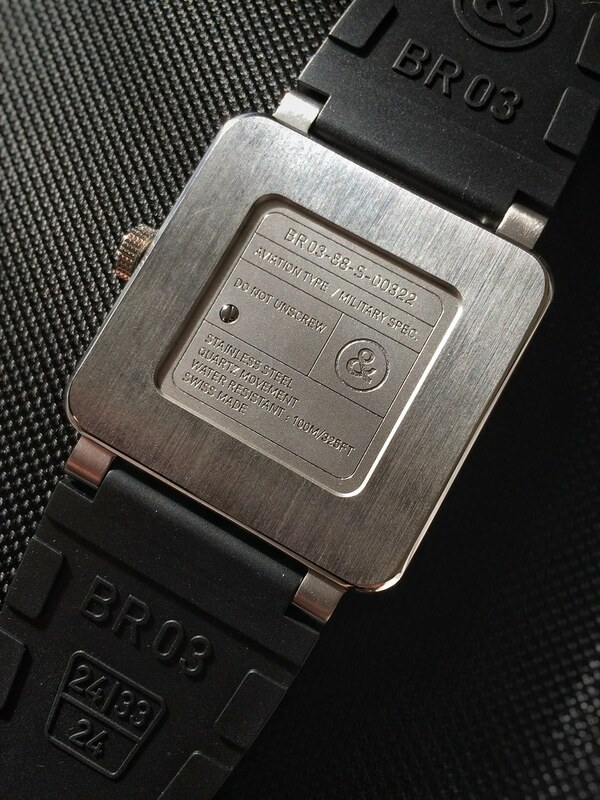 Feels weighty, solidly put together, accurate to my eye, with crisp, clear engravings on the back of the watch. The uni-directional bezel clicks with authority with minimal play. 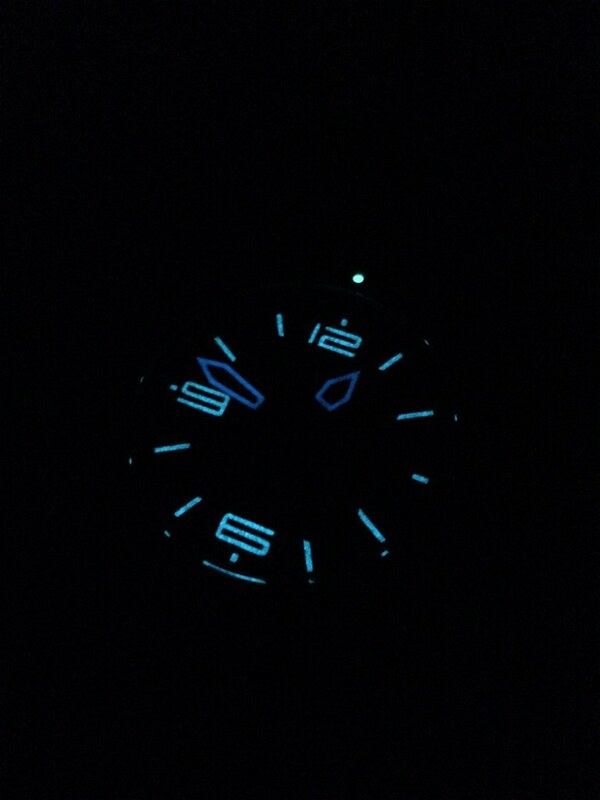 The lume is pretty bad, but that is a well known fact with this particular rep. The hands and dial indices are actually a different colour (though my picture will not show that well). Hands are blue and the pearl and dial indices are green. They are a uniform blue on the gen. 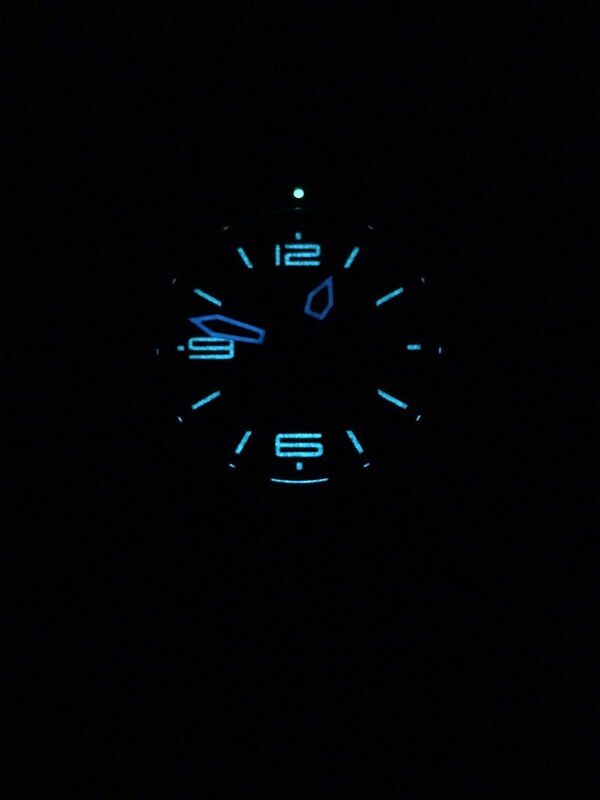 The lume is also fairly weak, too used to the superlume provided on today's super reps! 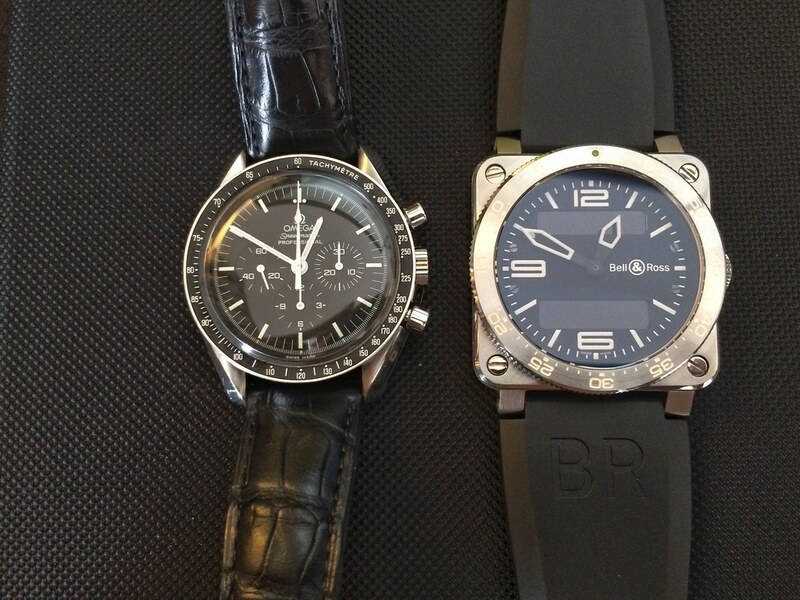 Another well known issue with this rep is there is slight play with the minute hand. It's very minute and you'd only notice is you were really looking. 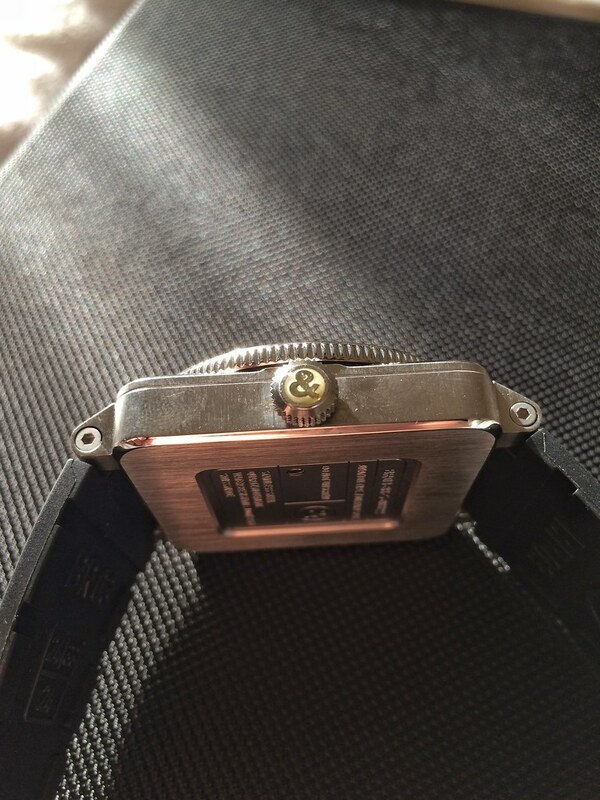 The hands are apparently heavy and therefore move slightly (>1mm max) depending on the orientation of the watch. Some crimping of the hands might solve it, but it doesn't bother me. The crown has what looks like a resin cap, on my particular watch there is a small bubble of air in the centre top of the ampersand (&). Again, it doesn't bother me and you'd only notice if you were looking for it. Standard rep rubber strap. It is okay, though I have a gen strap from B&R enroute which should pair up nicely. 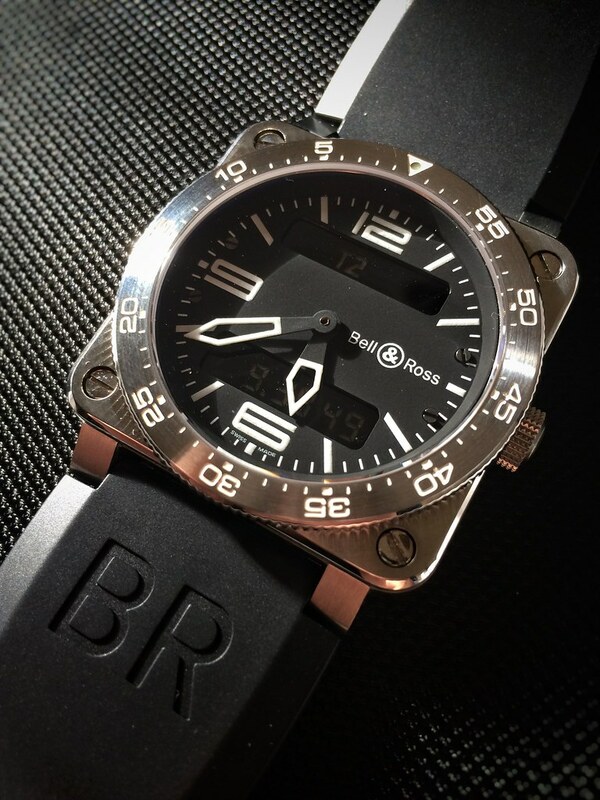 Overall, this was one of the first B&R super reps and in my eyes it still holds super rep status. Sure there are things that can be improved and yes it is very expensive for a quartz rep, but for a watch that looks and functions like gen for a fraction of the cost, one can't complain. Of course I end this post with mandatory wrist shots! Seen a few gents proudly wearing their new pride and joy but slightly puzzled by the blue rubber detail on the crown. Noobilicious. Great watch Arism. I have one to from Tim. Lume is pretty bad but overall great watch. Will address the lume on mine when it's time to replace the battery. Thought the same as pictures of the gen don't have it. Though have my doubts now as it is pretty securely fit to the crown! 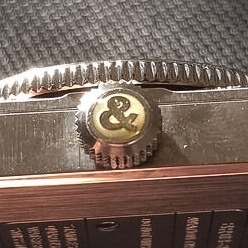 I've had to use a stick, I use my wife's nail cuticle sticks, to remove a few they were so well stuck to and caught up in the machined logos on the crown.